This partnership between Syngenta and CIMMYT, funded by the Syngenta Foundation for Sustainable Agriculture (SFSA), aims to help smallholder farmers in Asia grow more food and better provide for their families through the development of improved maize varieties. The Affordable, Accessible, Asia (AAA) is a five year project that aims to develop and deliver improved maize cultivars that are affordable, assessable and drought tolerant. The five-year project is funded by Syngenta Foundation for Sustainable Agriculture (SFSA) and is implemented through a coordinated partnership between CIMMYT-India Team, Asian National Agricultural Research Systems (Indonesia, Vietnam and the Philippines) and Syngenta. As drought poses a huge threat to farming in Asia, this partnership aims to aid 80% of the farmers who grow crops under rainfed, and often, drought-affected conditions. This project has the potential to have a dramatic impact on addressing the hunger and poverty issues in the region. Crosses using drought tolerant inbreds from CIMMYT as donors and elite lines from Asian NARS and Syngenta are the foundation for the project. Besides field-based breeding, the project also aims to undertake capacity building of the Asian partners in implementing novel strategies for deriving drought stress tolerant germplasm, including genome-wide association mapping, marker-assisted recurrent selection and genomic selection for trait improvement. 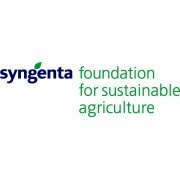 The Syngenta Foundation for Sustainable Agriculture is a not-for-profit organization that focuses on supporting the productivity of small-scale farmers in developing countries around the world. The mission is to create value for resource-poor small farmers in developing countries through innovation in sustainable agriculture and the activation of value chains. The operational strategy of the Syngenta Foundation focuses on smallholders, productivity, and markets. The Foundation works with partners in developing countries and emerging markets. The aim is to help small farmers become more professional growers. The Syngenta Foundation does this by extending science-based know-how, facilitating access to quality inputs, and linking smallholders to markets in profitable ways. This adds value for rural communities, and sustainably improves food security. By helping small farmers become more professional growers, The Syngenta Foundation wants to achieve added value for rural communities, and improve food security in sustainable ways. Smallholders produce part of their own food needs, and a surplus that helps feed their countries and supply international markets. With the right kinds of agricultural technologies and supporting services such as extension, credit, and microinsurance, smallholders could increase their production significantly and sustainably. In the process, they would improve their own food security and that of their communities and countries. ‘Inclusive’ agricultural growth would be promoted, the fundamental basis for equitable economic development. The Syngenta Foundation focuses on productivity and the inclusion of farmers in remunerative value chains. The focus is on ‘pre-commercial’ farmers, often in semi-arid areas, who display potential for agricultural growth. The Foundation runs projects in Africa, Asia, and Latin America, and contributes to the agricultural policy debate worldwide. It works with a wide range of partners operationally and in thought leadership. The Foundation engages, for example, the public sector, international organizations, think tanks, the private sector, other foundations, social entrepreneurs, and non-governmental organizations (NGOs). As well as establishing pilot projects, the Foundation also puts major emphasis on successful scale-up. The Foundation invests in sustainable improvements in farm yields, and helps small farmers earn income from their produce. The productivity of primary production factors such as labor, land, and water is a major concern, as is total factor productivity. Investments in plant science and product delivery systems - such as strengthened national seed industries - underpin the productivity goal. So do credit systems, index insurance, and market links for grains, pulses and high-value products and crops. The Syngenta Foundation complement agricultural extension projects with a portfolio of partnerships in advanced crop science. The Foundation additionally works to create ‘enabling conditions’ in the form of improved regulatory frameworks, stewardship capacity, financial, and risk transfer tools, biodiversity conservation, and land improvement funded by carbon finance. It also conducts policy studies and outreach in a growing range of domains. CIMMYT works throughout the developing world to improve livelihoods and foster more productive, sustainable maize and wheat farming. Their portfolio squarely targets critical challenges, including food insecurity and malnutrition, climate change and environmental degradation. CIMMYT grew out of a pilot program sponsored by the Mexican government and the Rockefeller Foundation in the 1940s and 1950s aimed at raising farm productivity in Mexico. The wheat specialist in that program, Norman Borlaug, worked with Mexican researchers and farmers to develop hardier, short-stemmed wheat varieties that resisted devastating rust diseases and yielded much more grain than traditional varieties. The new wheat lines were bred and selected at various Mexican locations in a range of climate conditions, which meant they were adaptable to a range of farm settings. The higher yielding varieties helped Mexico attain self-sufficiency in wheat production in the 1950s. Additionally, the varieties were imported by India and Pakistan in the 1960s to stave off famine, soon bringing those countries record harvests. 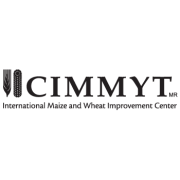 This led to the widespread adoption of improved varieties and farming practices, which became known as the “Green Revolution.” CIMMYT was formally launched as an international organization in 1966. Borlaug, who worked at CIMMYT as a wheat scientist and research leader until 1979, received the 1970 Nobel Peace Prize because, more than any other single person, he helped to provide bread for a hungry world. He remained a distinguished consultant for the center until his death in 2009. - By conservative estimates, this work provides at least $2 billion in annual benefits to farmers. - CIMMYT alumni include a Nobel Peace Prize laureate and three World Food Prize winners. - CIMMYT’s success depends on the longstanding partnerships and trust of public agricultural research systems, private companies, advanced research institutes and academia, and non-governmental and farmer organizations. - More than 70 percent of the wheat grown in developing countries and more than 50 percent of improved maize varieties derive from CIMMYT breeding materials. - More than 10,000 scientists have trained at CIMMYT and gone on to become leaders in their own countries. The center empowers thousands of students, extension workers and farmers through courses, workshops and field days. CIMMYT crop-breeding research begins with its Germplasm Bank, a remarkable living catalog of genetic diversity comprising over 28,000 unique seed collections of maize and over 140,000 of wheat. From its breeding programs, each year CIMMYT sends half a million seed packages to 600 partners in 100 countries. With researchers and farmers, the center also develops and promotes more productive and precise maize and wheat farming methods and tools that save money and resources such as soil, water, and fertilizer. Based in Basel, Switzerland, Syngenta was formed in 2000 by the merger of Novartis Agribusiness and Zeneca Agrochemicals. Its roots are considerably older. Syngenta AG is a large global Swiss specialized chemicals company which markets seeds and pesticides. Syngenta is involved in biotechnology and genomic research. The company is a leader in crop protection, and ranks third in total sales in the commercial agricultural seeds market. Sales in 2010 were approximately US$ 11.6 billion. Syngenta employs over 26,000 people in over 90 countries. We focus on “pre-commercial farmers”, who typically own less than two hectares. Our work has two main goals: better productivity and stronger value chains. In both areas we work with a wide range of partners. They include state institutions, private companies, research institutes and non-governmental organizations (”NGOs“). The Syngenta Foundation invests in methods that sustainably increase crop yields. Plant science, for example, develops better seeds specifically suited to local conditions. Sustainable productivity also requires appropriate commercial structures. So we additionally invest in credit systems, insurance and the distribution of market information. The Syngenta Foundation gets value chains moving. We help smallholders to earn an income from their produce, for example by meeting high standards of quality and safety. We also establish partnerships in areas as varied as seed supply, environmental services and food processing.